There are few designers who have reached the iconic status of legendary French designer, Yves Saint-Laurent. Notably referred to as one of the most influential designers of the twentieth century, Saint-Laurent was known for designing the trendy beatnik looks, safari jackets, thigh-high boots and the woman's tuxedo suit. This fashion icon cranked out collection after collection that went mainstream in their popularity, and was known for having said, "I created the contemporary woman's wardrobe." 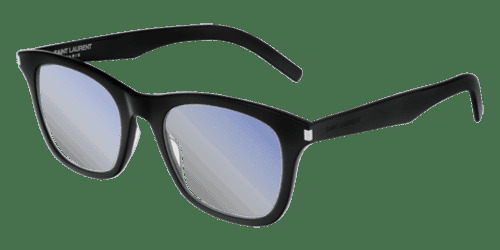 The women's Saint Laurent eyeglass collection found at GlassesEtc.com has been designed in the spirit of Yves Saint-Laurent. The styles, colors, shapes and patterns are created to bring out the modern, sophisticated beauty of the contemporary woman today. Let your glasses speak for you by choosing the look you want to portray - are you casual, fun-loving? Do you love color or embellishments? Do you want to come across as classic, professional or active? 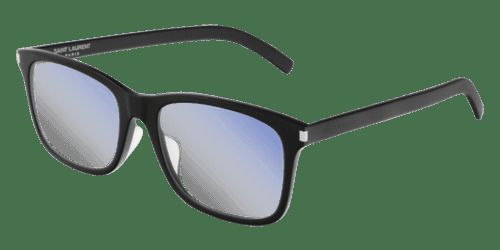 These 100 percent authentic Saint Laurent prescription eyeglasses will communicate any one of these attitudes. 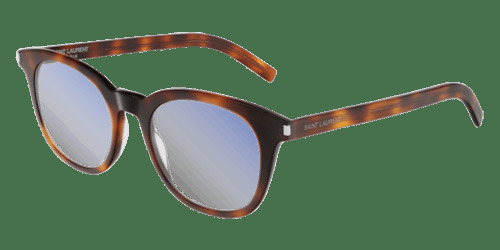 Browse our huge collection of eyewear from the creative minds Saint Laurent and save up to 50 percent of the retail price. 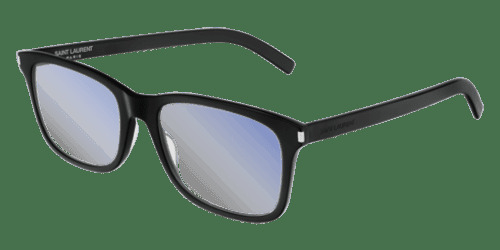 Wear a piece of European fashion history and look lovely while doing so with our Saint Laurent prescription eyeglass collection at GlassesEtc.com.